Throughout the years, I have had the chance to meet several American people in person or online, with whom I have had numerous conversations. Often, we have talked about our respective countries because this has been one of the topics we have been interested in. We have usually asked each other a lot of questions about habits and traditions, culture, and lifestyle. This has been especially true when the person asking these questions has never visited the other’s homeland. This is my case as I have never journeyed to the USA. Describing how you see your interlocutor’s country has been another interesting aspect of such conversations. This is a thought-provoking exercise: it forces you to confront a different perspective. Our cultural and emotional experiences often cloud our understanding of our own respective countries. When it comes to the USA, my American friends are usually taken aback when they hear my words describing how I see their country. Usually and understandably, they have never thought about the USA in such a way. At this point, you might be wondering what I tell them to provoke such reactions. But I ask you to be patient for a while as I need first to state a premise to contextualize my perspective. I was born the same year Microsoft was founded and the Vietnam War ended. Thus I grew up during the final stage of the Cold War, which ended in 1991. Even though I was born way after Italy’s liberation by the US Army, I was influenced heavily—along with my contemporaries—by American storytelling. After the war, the USA exercised brilliantly its soft power and, thanks to a masterful use of propaganda techniques, it has been able to spread a shining image of itself all over the lands under its influence. Of course, America has exploited cleverly its control of mass media and the entertainment industry to achieve this goal. This operation has been a huge, clever plan, which has evoked a specific—but unrealistic—idea in our brains. Many of us believed naively that the American Dream was really available to anyone who was willing to work hard to pursue success and thus the happiness stated in the Declaration of Independence. This is why many of us thought truly that almost all Americans were cool, wealthy, and successful: a picture that tons of American TV series and movies painted throughout the decades. To us, everything coming from the USA appeared to be cool and pushed us to imitate foolishly what we thought the typical American lifestyle was. This idea is depicted brilliantly in the famous “Un americano a Roma” movie, in particular in the notorious “maccarone scene”, which is viewable here—unfortunately, I couldn’t find an English subtitled version of the clip at the time of this writing. 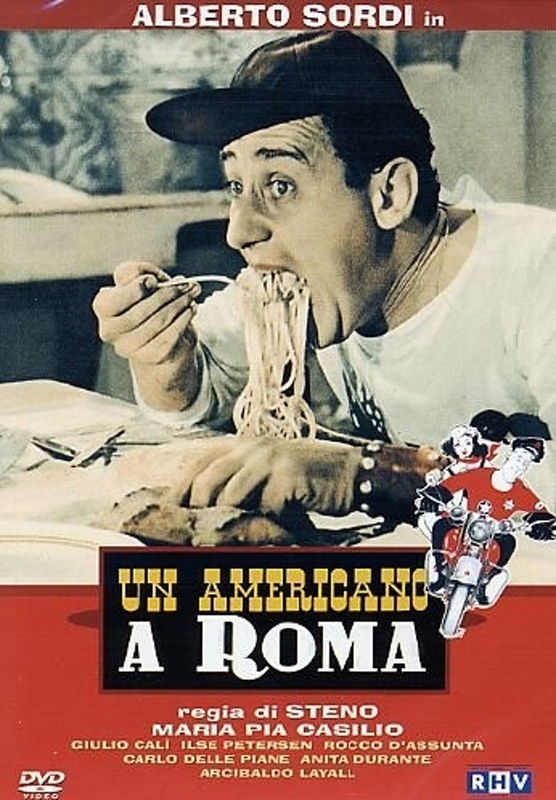 In brief, the main character—played by the famous actor Alberto Sordi—replaces a dish of very Italian pasta, which he says is not a cool food, with what he thinks is a typical American meal. At the end of the scene, he realizes how bad the supposed American food is. He rejects it disgusted and eats the pasta greedily instead. Back to my relationship with the USA. As I got older, I started to look at America in a more disillusioned way, too. I started to ask myself more questions and I think I ended up with a more balanced view of this variegated, complex country. There are many voices around the world criticizing the organization of American society and the foreign policy of the USA. And the fact that there are many such outspoken voices in the United States itself should demonstrate that all that glitters is not gold. George Carlin and Michael Moore are known examples of such critical thinking. Of course, there are American citizens, who think these critics just hate the United States and that America is still the “land of opportunity.” I don’t think that the truth is one-sided. Moreover, I think that even the most critical people should admit that freedom of speech is guaranteed in the United States despite it not being a perfect country. That being said, some years ago I started to follow the geopolitical analyst Dario Fabbri. He covers the USA for the most famous Italian geopolitical magazine, Limes, and I think he provides a cynical but coherent and balanced description of America’s position. Thanks to several Fabbri’s speeches and interviews that I watched on Youtube, I think I acquired a broader awareness of the role played by the US in the world because I looked at this country through the lens of geopolitics as well. Fabbri often reminds his readers that geopolitics always overpower what states generally think are the most important things, such as economic and foreign affairs. For example, this approach helped me to understand the reasons behind several decisions by the American government that seemed self-defeating at first sight. For instance, I have been wondering for years why the United States, despite being the primary economic power in the world, imports many more goods than it exports; or why it spent so much money to rebuild the economy of Western Europe after the end of WWII receiving nothing in return. Yet you don’t need to be particularly cynical to guess that it didn’t do this simply to gift democracy to the European countries. All these questions find rational answers when American policy is seen from a geopolitical perspective. Inevitably, this process leads one to consider the USA and the countries under its influence for what they actually are, an empire. I would like to stress that the words empire/imperialism do not have a necessarily negative meaning in this context; they just reflect the relationships in place between the United States and these other countries. 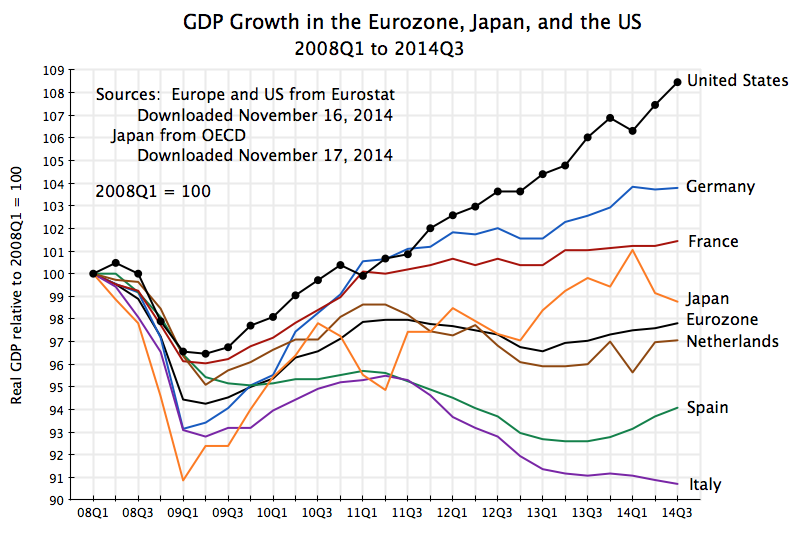 Of course, there is no American empire, technically speaking. But I think it is undoubtedly the case that there is a strong dependency on the USA by this group of states to which Italy belongs. The creation of such deep bonds is part of a coherent strategic plan and is nothing new. This goal was pursued by the Roman and the British Empires too, as Fabbri explains. As I said earlier, numerous clips in which he talks about this matter are available. However, the following is the only one in English that I was able to find at the time of this writing. This broad view of the United States and its allies also helped me to interpret differently facts that are part of my daily experience. I live near the NATO Aviano Air Base, where thousands of Americans work. If I think about how the Italians live from the perspective of being a province of a much larger empire, many things become more significant. If we take again the example of NATO bases in Italy, it is a fact that their presence has negative implications, many of which are not even known to the general public. It is equally true that Italy has benefited from being under the protection of the NATO umbrella guaranteed by the presence of such military facilities, however. For instance, since we haven’t had to take care of external threats like an invasion by the former Soviet Union, we have saved a huge amount of money that we would have had to spent on military expenditures otherwise. If we consider how the local economy of the communities hosting such bases has been affected, we find other positive aspects as well. For instance, there are many Italian citizens who have been very happy to rent their second home to American soldiers, who live around such facilities and can afford to pay high rental rates thanks to the salary that they receive from the Department of Defense (DoD). But the other side of the coin is a general rise of home rentals in the surrounding area, which has harmed financially many Italian families living in the same region. Of course, this pros and cons list could be much longer. The point is that “there ain’t no such thing as a free lunch”: we pay a price to receive the benefits of being part of the American empire, the greatest of which is probably limited sovereignty. At the end of the day, it is very hard to determine if it would be better for Italy to remain part of the American empire or not. In any case, it is a fact that Western Europe used to be one of the most warlike areas in the world but, after the end of WWII and the creation of NATO, we have had about 75 years of peace and prosperity because America has not departed the continent since. Regarding the conversations I have had with my American friends, what I just described is what sounds so weird and unexpected to their ears. When I point out the strong but dependent bond that Italy has with the USA in terms of economy and foreign policy, they look at me like I were a Martian. I can read in their eyes that they are thinking to themselves “What the heck is he talking about?” Understandably, they never thought about Italy in such terms—after all, neither did I until a few years ago! Yet apart from geopolitics, how do I see the USA today? I have an image of a profoundly heterogeneous country that, although it consists of people who have come from all over the world throughout the centuries, is held together by a deep respect for solid social discipline and by a few fundamental values that are shared across the majority of the population, in addition to a common language. Freedom and individual initiative are examples of such values, whose rigorous preservation turned America into the “nation of excess.” Everything is pushed to the extreme—for better or worse. Take healthcare, for instance. In the United States, some of the most advanced medical technology has been developed and engineered but, at the same time, a significant number of citizens can’t access it because they are unable to afford it. Despite the effort to propagate an image of a harmonious and happy nation, these contradictions can’t always be hidden. You just need to visit San Francisco or New York—two of the most representative cities of the “American way“—to face the harsh reality: cutting-edge technology, disruptive creativity, and limitless wealth coexist with saddest isolation and deep poverty in the same physical space. All of that being said, I think that there is a trait, shared by the majority of Americans, that is powerful enough to make this country so dynamic and future-oriented. This trait is a mixture of positivity, self-confidence, and optimism that I feel is still deeply rooted in the society, even if it seems now that public opinion is no longer that confident that the future will be better. If I compare Americans to Europeans, in general the former seem more propelled towards a better tomorrow, aiming to improve their conditions, and working relentlessly to achieve their next goal. Because they know that the future will be better. In my opinion, this is the ultimate reason why the United States is still perceived—especially by the young people who are eager to move there—as the land of opportunity par excellence; as one of the few places in the world where you have the chance to develop your full potential as an individual. This is what still makes this nation so appealing and charming. It is no coincidence that a large part of the coolest and most attractive companies in the world—Google, Tesla, and Apple to mention a few—are located there. The price to be paid for such a dynamic economy consists of cyclic financial crises that originate in the US first and spread to rest of the world. The Great Depression, the dot-com bubble, and the subprime meltdown are the ones we witnessed in the last 100 years. But, thanks to what I just said, the USA is able to turn such situations into opportunities. That’s why the country recovers so quickly from these catastrophic moments, becoming even stronger than before. I think that one of the major factors that drives this generalized optimism is the faith—inherited from Illuminism and Positivism—in scientific and technological progress. From a philosophical perspective, it seems that American society has embodied such a faith. Science and technology are among the most notable children of that type of rational thinking, which originated in ancient Greece. At that time, however, trust in progress was limited by the ancients themselves. They were aware of the the hazards associated with science and technology. This awareness prevented the ancient Greeks from abusing them—by the way, this is one of the most important meanings of the phrases carved into the temple in Delphi. Nowadays, it looks like the Americans forgot this precious lesson. Their faith in science and technology seems so blind and uncritical that American companies and researchers sometimes don’t take into account the consequences of their discoveries and inventions. New and unprecedented problems we are not prepared to handle, such as bioethical issues and environmental problems, are just two examples. Scientific and technological progress is constantly and relentlessly pushed to new limits—again, the idea of excess—in an insane, endless run, which has become an indispensable part of the capitalistic system. Nonetheless, it has also achieved outstanding and once unthinkable results. And this is one of the reasons why the USA is generally so attractive in the eyes of a young person. In conclusion, this post is the first of a series that hopefully will be a unique description of an imaginary trip to the USA. This fictional journey will be an attempt to depict the picture I have of this country. My American friends will surely tell me if this is accurate or not! With regard to this blog, there is no doubt that this project is the most ambitious and challenging that I have put myself through, as I have never been to America. Thus, all that I’m going to write is the fruit of what I have heard, watched, and read about the United States so far. In the issue of August of Limes magazine, Dario Fabbri wrote what I consider his ultimate geopolitical definition of the USA. I am aware that this definition, which is available a little later in this appendix, may sound rough and cynical, especially to the American readers. But probably geopolitics can’t be anything but that. In any case, usual readers know well that one ambitious goal of this blog is to be thought-provoking. In this perspective, I think that it is useful to confront with his point of view, especially if you don’t agree with him. For what concerns the translation, I must stress the Fabbri’s prose is rather complex syntactically. In this regard, I thank warmly my friend Danny, who gave me a huge help to get the job done, and my English tutor, Brice, who reviewed the draft masterly and patiently with the eyes of an American. In spite of the text complexity, we did our best to maintain the authoritative and solemn tone of Fabbri’s clauses. Also, I’d like to add a couple of notes about how we translated the original text to contextualize it. Italian grammar and syntactic rules are much more flexible than in English. For example, the subject/predicate/object/complement order is not strictly determined. Furthermore, these rules even allow omitting the subject or the predicate without dropping the meaningfulness of the sentence. Fabbri makes large use of this technique to achieve a specific writing style. For this reason, there are several words omitted in the original text and that we added in the translation. I think this is indispensable in making the translated text comprehensible to English-speaking readers. For the sake of completeness, the original Italian version is quoted as well. In our latitudes and in a post-historical context, we are convinced that economics and political science are enough to evaluate current events. According to the current interpretation, the timeline of political power is marked by the coming and going of countries’ leaders, their pronouncements, and their ideas. Doctrines and historical periods coincide with the names of the current statesmen as if a president or a minister were an expert in strategy or geopolitics; as if he had achieved office with a detailed platform and had brought with him an innovative portfolio.This bizarre assumption is applied even to the United States, a nation designed to exist beyond politics. Americans vote systematically on the day of market activity, Tuesday, so that participation is minimal. The president is limited by a myriad of checks and balances. The thickness of the American superpower is determined by the texture of its society, which is resolute and disciplined. This thickness is also determined by the craft of the state apparatuses and bodies, which are fated to survive every president. They are able to use the characteristics of homo americanus to pursue collective interests. Above all, these apparatuses are ready to sedate the convulsions of the country, if these threats are considered harmful to their strategy. Without caring about this anti-democratic attitude, they remain indifferent to its authoritarian import. This is noted by all elected officials, who see their foreign policy watered down. The state apparatuses act according to the ultimate but unconscious goal pursued by every American: the americanization of the world. This is the absolute end that has allowed the United States to exist. This purpose has allowed America to assimilate immigrants, to untangle its own inconsistencies, and to survive recurring depressions. This world americanization is the ancestral end to which Americans sacrifice their quality of life, social harmony, and economic well-being. In order to pursue this goal, the trajectory of the country and its actions in the world are entrusted to a perpetual team of unelected officials. This is implemented by placing bureaucrats above electoral contingencies, by placing them in the womb of the state, and by putting the fate of the nation in their hands. Without any remorse. Alle nostre latitudini, in un contesto post-storico, si è convinti di poter valutare gli eventi attraverso l‘economia e la politologia. Secondo l’interpretazione corrente, la cronologia delle potenze sarebbe segnata dagli avventi e dalle dipartite dei leader, dai loro pronunciamenti e dalle loro idee. Fino a far coincidere dottrine e fasi storiche con i nomi degli statisti. Quasi un presidente o un ministro si intendessero di strategia, oppure di geopolitica. Quasi giungessero all’incarico con un dettagliato progetto, portando con sé gli incartamenti di una tattica innovativa. Assunto bizzarro applicato perfino agli Stati Uniti, nazione pensata per prescindere dalla politica, in cui scientificamente si vota nel giorno dell’attività di mercato (martedì) affinché la partecipazione sia minima, in cui il presidente è limitato da una miriade di pesi e contrappesi. Piuttosto lo spessore della superpotenza è determinato dalla fibra della sua società, massimalista e disciplinata. Quindi dal mestiere degli apparati, destinati a sopravvivere a ogni presidente, capaci di utilizzare le caratteristiche dell’homo americanus per perseguire gli interessi collettivi. Soprattutto pronti a sedarne le convulsioni se ritenute dannose per la strategia. Senza curarsi della dimensione anti-democratica di tale atteggiamento, indifferenti alla sua accezione autoritaria. Come rilevato da ogni carica eletta che vede annacquata la propria politica estera. Perché consapevoli di agire in nome dell’obbiettivo ultimo inconsciamente inseguito da ogni americano, ovvero il dominio del mondo. Proposito assoluto che da sempre consente agli Stati Uniti di esistere, di assimilare la popolazione di origine allogena, di sbrogliare le proprie incongruenze, di sopravvivere alla depressione. Fine ancestrale cui sacrificare la qualità della vita, l’armonia sociale, il benessere economico. In nome del quale affidare a un’inossidabile compagine di funzionari non eletti la traiettoria del paese, la sua azione nel mondo. Ponendo i burocrati al di sopra delle contingenze elettorali, collocandoli nel ventre dello Stato, consegnando loro il destino della nazione. Senza alcun rimorso. To some degree, I think we don’t have the same freedom in Italy. For example, I can’t think of an Italian documentary or journalistic investigation that criticizes ferociously and deeply my country’s government like SiCKO or Where to Invade Next. The literal translation of the word used by Fabbri would be “dominion”. I think that this term would be too strong, however. As a matter of fact, Fabbri talks about the American ultimate goal in other articles too. In these documents, he generally refers to this goal in terms of Americanization of the world instead. That’s why I think this word is closer to Fabbri’s thought.